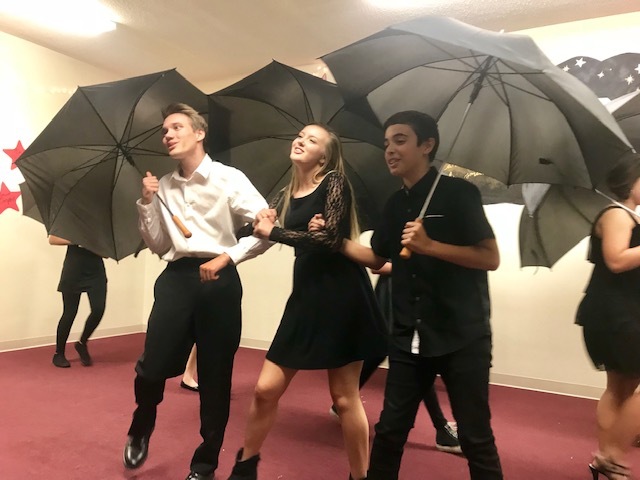 Check out the latest edition of Eagle Eye, our high school newspaper, and listen to the lastest edition of Eagles Nest, our junior high podcast here. 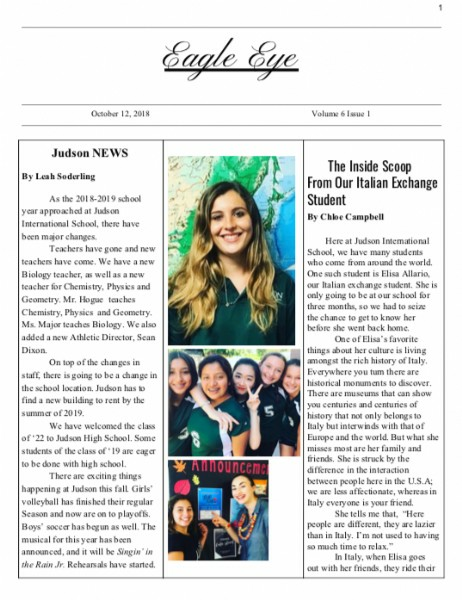 Judson High School's student newspaper, Eagle Eye, is in its sixth year of publication. 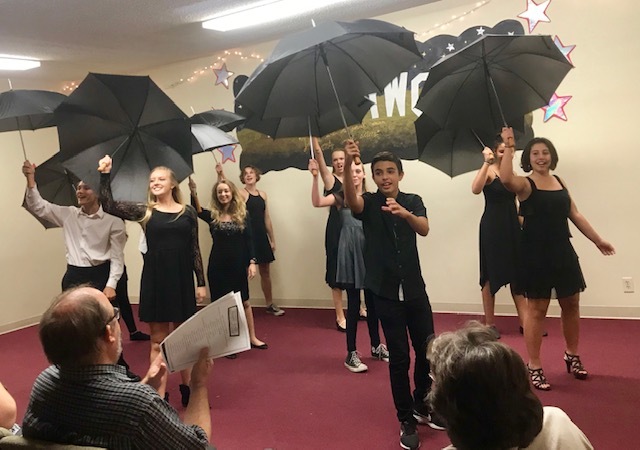 Produced by the high school journalism class taught by Mrs. Giron, the newspaper has two student co-editors this year, Chloe Campbell and Leah Soderling. 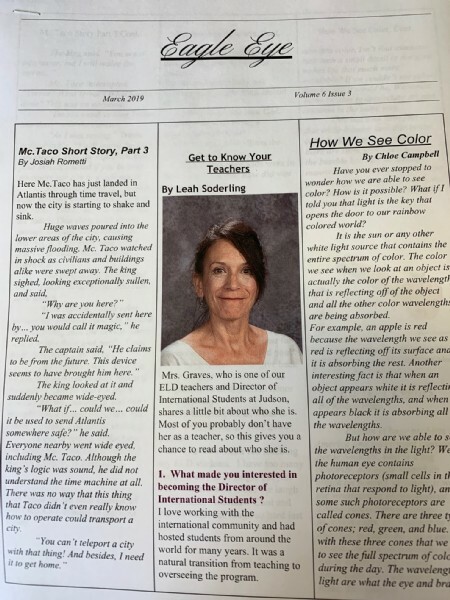 Click here to read the latest issue, plus back issues of Eagle Eye. Our Junior High journalism class prodcues a monthly podcast entitled Eagles Nest. This class is taught by Mrs. Hall and is open to eligible 7th and 8th graders. This year's junior high journalism team includes Bella Hernandez, Monica Duanmo, Evelyn Lopez, Caris Campbell, Narek Agamanukian and Andy Kim. Click here to listen to the lastest podcast of Eagles Nest. Our junior high boys flag football team won the Foothill Sports League Championship. Read about their amazing season, plus all the other fall sports highlights here. 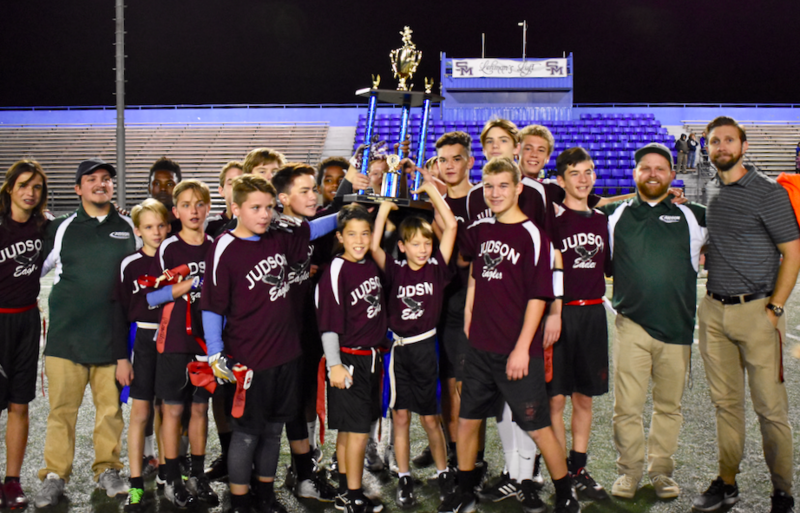 Judson International School's junior high boys flag football team won the league championship 28-27 against Sequoyah on November 15. 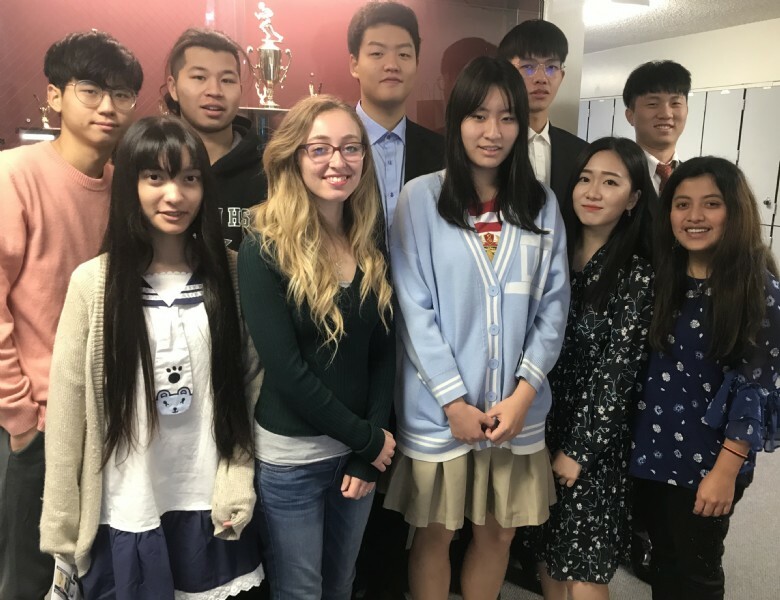 The game was hosted by San Marino High School. Coach Max Boyle led the Judson Eagles to the victory after an undefeated season for the team with 10 wins and 0 losses and was the #1 seed. This is Judson International School's 4th League Championship for Junior High Flag Football. Judson International School also did well in other sports. 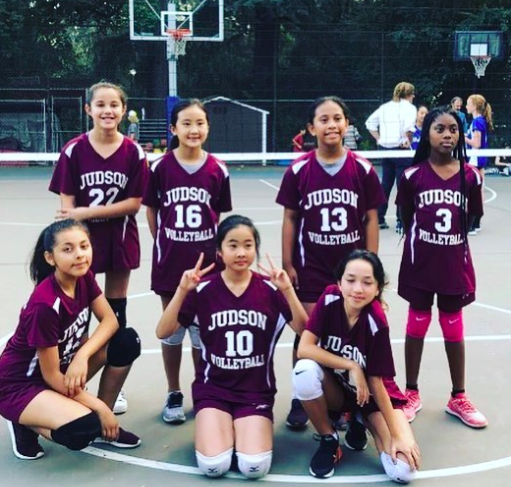 The Judson junior high girls JV team had an amazing season with Foothill Sports League under the leadership of Coach Kathy Hall, with a record of 7 wins and 1 loss. 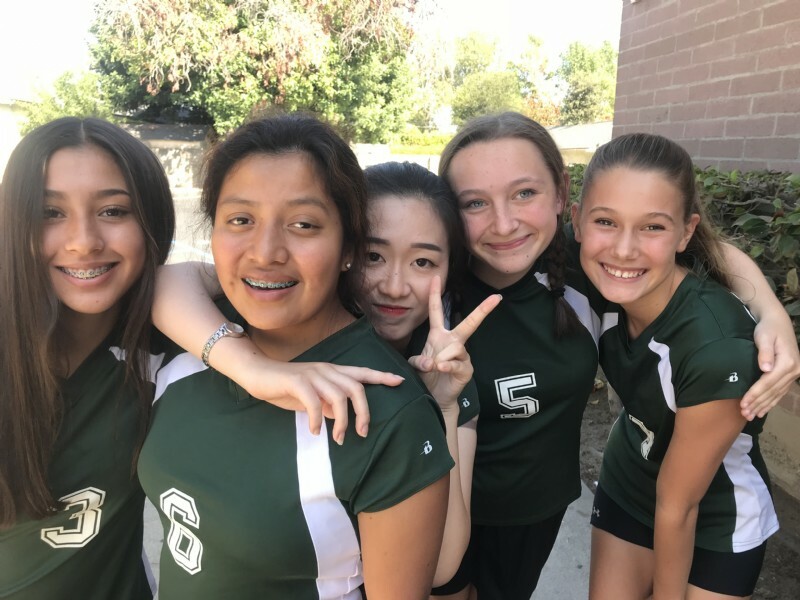 Our varsity junior high girls volleyball team had a 3-8 record. At the high school level, the girls CIF volleyball team had 5 wins and 3 losses, placing second in their league. 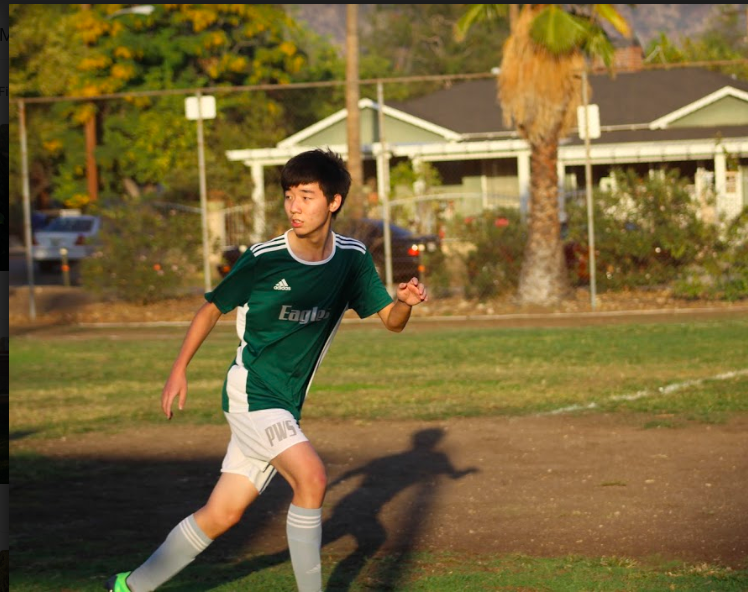 They went to the playoffs, but lost in the first game to the eventual champions, La Puente High School. This team is part of the unique Judson/Waldorf partnership for high school sports. Judson also fielded a co-ed high school soccer team in partnership with Waldorf School through the International League. The team place 2nd in the league with 5 wins and 2 losses under the leadership of Coach James Hood. Practice and games for winter sports are already underway. Our CIF high school boys basketball team has been practicing for several weeks and will have their first game in November. They are being led by Coach Sean Dixon and the team is made up of players from both Judson and Waldorf. Our junior high boys team is being coached by Coach Kyle Patterson. We will also field high school and junior high girls basketball teams, if we have enough players. 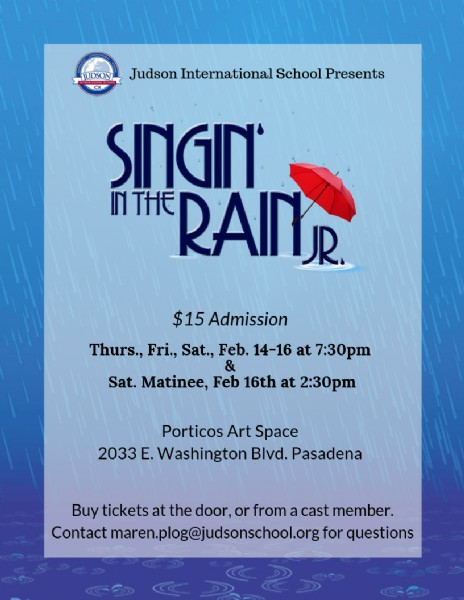 Those interested should contact our Judson Athletic Director, Sean Dixon, at sean.dixon@judsonschool.org, 626-589-7468. We are so thankful to receive a third recognition this year. 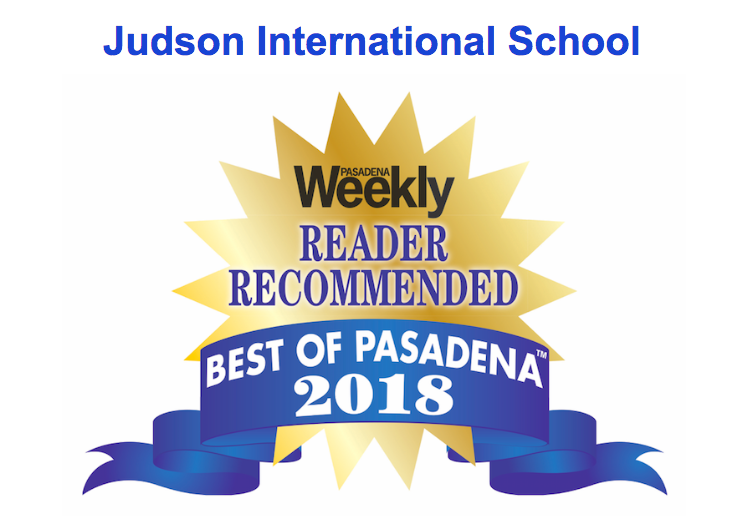 We are very thankful to receive the Pasadena Weekly Reader Recommended Best Private School 2018 award. This is the third year in a row that we have been voted to receive this recognition. We are so thankful for our community's support of our school. This award is added to several others that Judson has been given this year: The 2019 Best School Award by K12 Niche and the 2018 Beacon Media Reader Recommended Award in three categories: Private Coes High School, Middle School and Private Co-ed School. 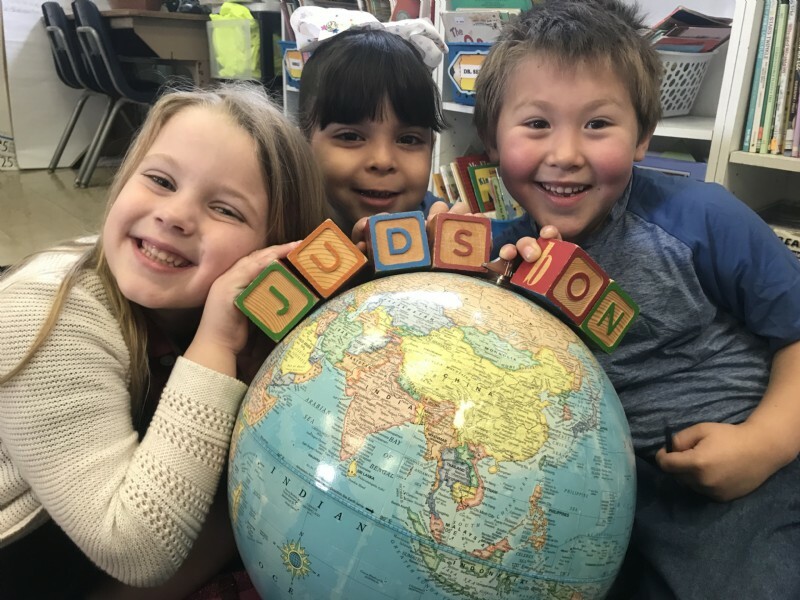 We are grateful for you vote of confidence in Judson International School's unique approach of Christian education with a global focus, training our students to be leaders in God's kingdom and today's world. Did you know that Judson has its own podcast? Did you know that our Judson Junior High Journalism team produces a regular podcast? It is full of information including news about how our sports teams are doing, upcoming events and other interesting items? You can listen to it here: Eagles' Nest Podcast. 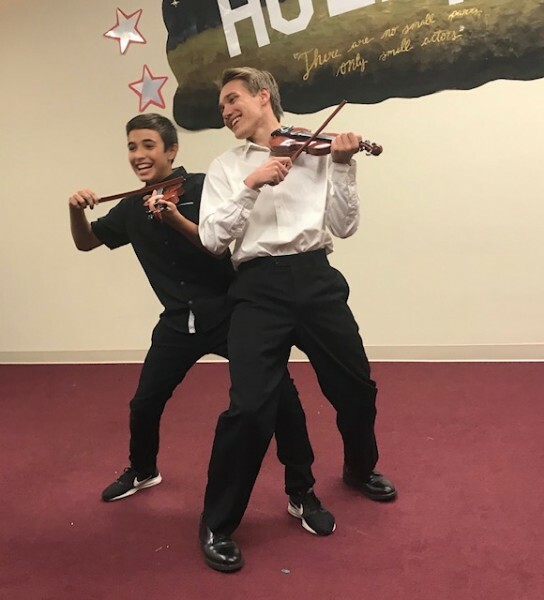 Our first podcast for the 2018-19 school year came out yesterday. Take a listen, enjoy and subscribe!